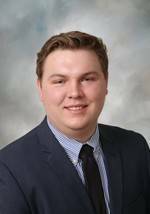 Patrick Doheny started his Real Estate career in May of 2015. Patrick had his first two sales within the month. He continued his education and in October of 2018 became a Broker Associate for Next Generation Realty. When working with Patrick, his clients truly appreciate the amount of knowledge and service he provides. While selling your home, it is important to make the most informed decision possible. Would you agree? It’s your money! With weekly listing stats, Patrick keeps you up-to-date and ahead of your competition. Are you looking to buy your new dream home? Be one of the first to know it’s on the market and have a competitive edge when buying with Patrick Doheny. Do not miss out on your dream home because an agent did not know it was for sale. By knowing YOU, Patrick always better serves his clients. We will work together to achieve your real estate goals! When out of the office Patrick enjoys spending his time with his family. Married in 2019 to his wonderful wife Nicole. The two will more often then not be with family playing card games, board games or catching the latest movie release. Have a favorite movie line? I would love to hear it! Patrick also enjoys playing many different sports. You can catch him throughout the week at pick-up games for basketball, soccer and volleyball. Hockey is by far his favorite sport. Growing up Patrick learned the value of hard work at an early age. Patrick helped lead his roller hockey team to a NARCH (North American Roller Hockey Championships) Championship, played for the Des Moines Oak Leafs in High School and became Next Generation Realty's youngest Broker in company history! Patrick Doheny is an active participant in local Chamber of Commerce’s as well. Iowa is truly an amazing State to live in. Patrick is blessed to serve his local communities and fellow citizens. Moving to Iowa or new part of town? Call Patrick at 515-868-5221 or email him at patrickd@nextgenerationrealty.com to find your new home and fall in love with our amazing communities!